For new Moms and Dads, the first thing to shop for to complete your baby’s room is the baby’s crib and rocking chair or Nursery Glider a baby usually sleeps in the crib giving Mom the time to relax while the baby is asleep. On the other hand, it is Mom who relaxes in the nursery glider, with… of course the apple of her eyes cuddled on her lap. In some instance, Dad may also use the glider to spent time and play with the baby or rock them both to sleep. 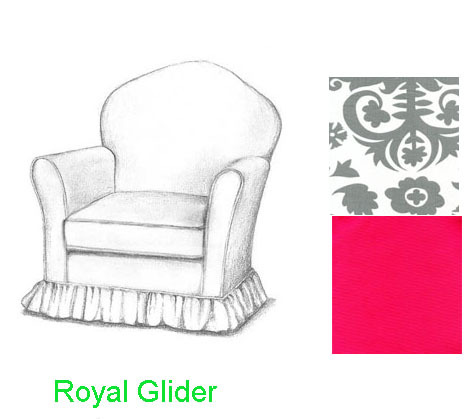 Just like any ordinary chair at home, a nursery glider looks like any ordinary chair at first glance. It is made of hard wood, fully upholstered and is available in different designs. However, the main difference of a glider from an ordinary chair is that it can move by giving rocking or gliding motions giving comfort to its users. A Nursery Glider is built with ball bearings responsible in giving the chair a slow gliding motion. A glider may also come with an ottoman or footrest where Mom and Dad could elevate the feet for a more calm feeling while resting. Considering the purpose of the glider, Mom and baby can bond together enjoying the gentle gliding motions with ease and comfort. Most of the time a glider can be placed in the nursery. It could also be placed in the living where Mom or Dad and the baby could spend time together while watching their favorite TV show. Mom deserves the best comfort when she is with the baby, she can stay in the glider while breastfeeding or when playing or taking a nap with the baby. Most gliders comes in different attractive styles and designs. A Nursery Glider comes with nursing accessories like a lumbar pillow, nursing pillow and an ottoman. 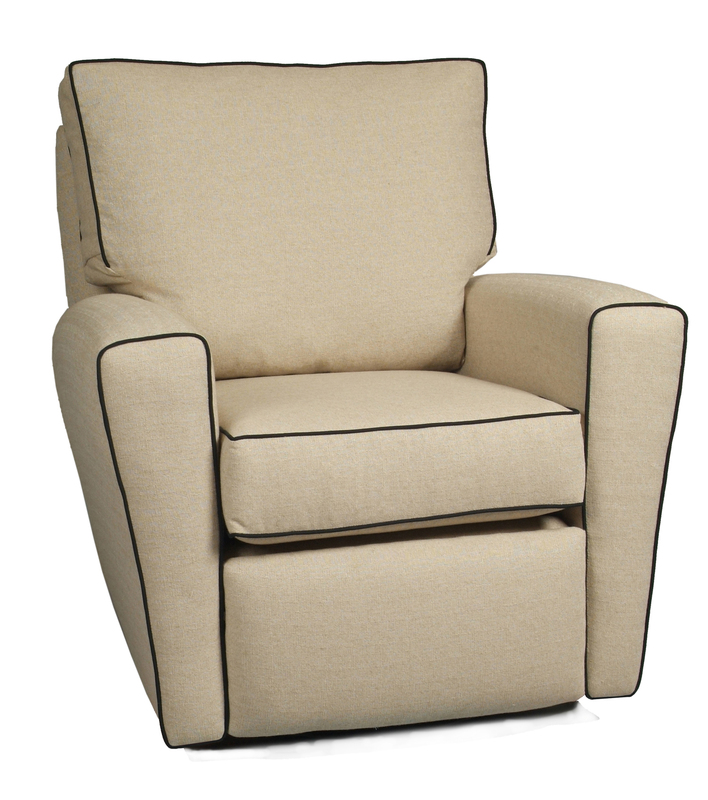 They come also with reclining mechanisms for a comfortable body stretch. There are also thick cushions which may be fix or detachable. For fixed cushions, darker colors are preferred since it could not be easily cleaned. Detachable cushions should have removable covers for easy cleaning and washing. Also, a good glider must have a padded arm so that for extra added comfort. It must also be spacious to give room for both mother and child particularly during nursing time. Choose a nursery glider that could give you the best design and comfort. Nothing can stop Mom from giving all the bests for her baby, and a nursery glider is the best gift for her after birth. Why most mommies want a Nursery Glider at home? Most Mommies want the best for their babies growing-up years and to spend quality time with the little darlings, watch them sleep, watch them play and watch them grow. And how could Mom do it? Mommies can… with the help of a Nursery Glider. It is best for both Mom and baby to spent time together outside the nursery room. 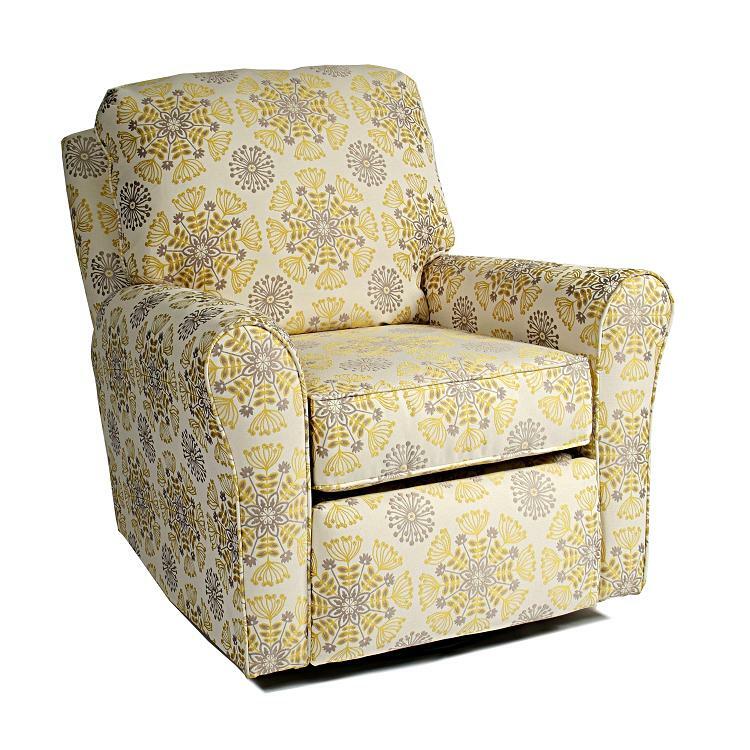 The gliding chair could be Mom’s best friend, it could be placed in the living room, the nursery or anywhere where Mom wants to spend time with the baby. Both mother and child deserve ample time to know each other and feel comforted by each others presence. A nursery glider is one good piece of furniture to sit, relax and enjoy. With a gliding chair the baby will not feel the difference between Moms’s dancing lullabies and the gliding motions of a nursery glider. What really matters is the warmth of the mother’s tender arms around the baby’s fragile body. Just make sure you have a strong, well-built and fully cushioned nursery glider for lasting use. Gliders can work wonders with your first, second, but also with your third baby. It’s a piece of furniture that builds memories and love for years. Visit us for more information about Nursery Gliders and Nursery Bedding.